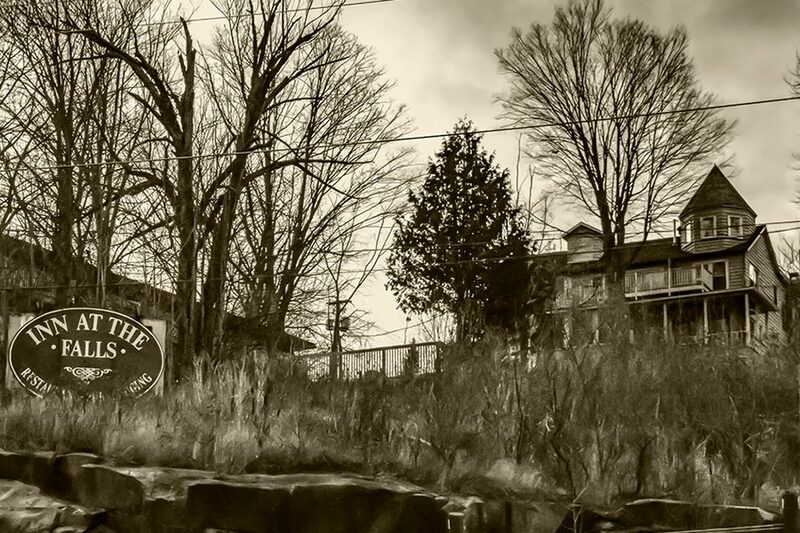 Haunted Places In Muskoka - Inn at the Falls in Bracebridge - ParaNorthern - YOUR Stories of strange, unexplained and scary events. What do the the following places have in common? the Spence Inn located at Heritage Place in Huntsville. 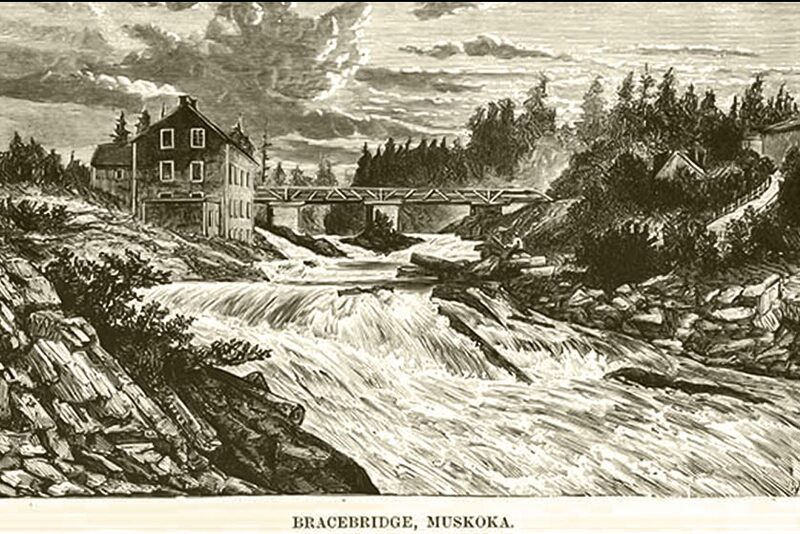 First, they are all historic inns found throughout Bracebridge Ontario area. Secondly, they are all reported to be haunted. Room 105 at the Inn at the Falls in Bracebridge, Ontario, is often specifically requested by some guests who visit the dwelling. The room is alleged to be haunted by the ghost of a woman who can be seen looking out the window on certain nights of the year. Room 105 is apparently the inspiration of the team name of the Bracebridge Phantoms, part of the Greater Metro Hockey League. footsteps and disembodied voices and laughs of children. Some people even claim to have seen full bodied apparitions of one time owner Jackie Niven who had died there after battling cancer. Other spirits whom have appeared or otherwise made their presence known include Charlie, Bob and Sarah. 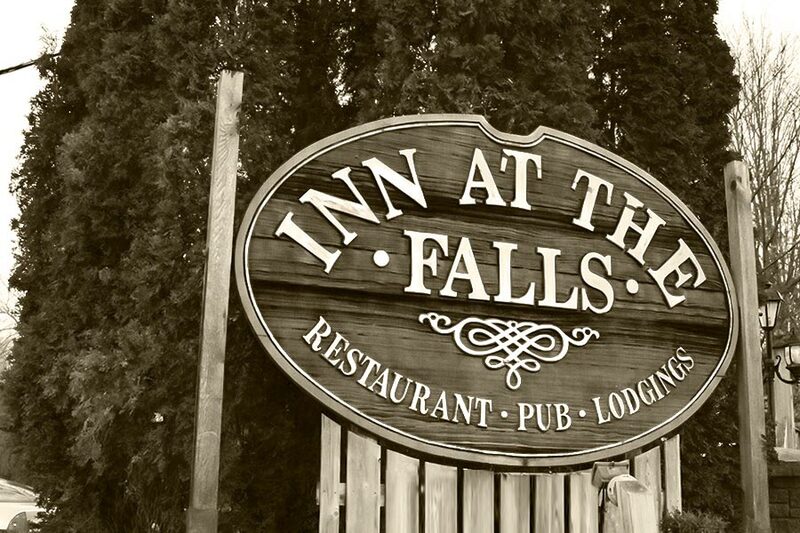 The Inn at the Falls has been studied by paranormal investigators who are seeking definitive proof that the place is haunted. 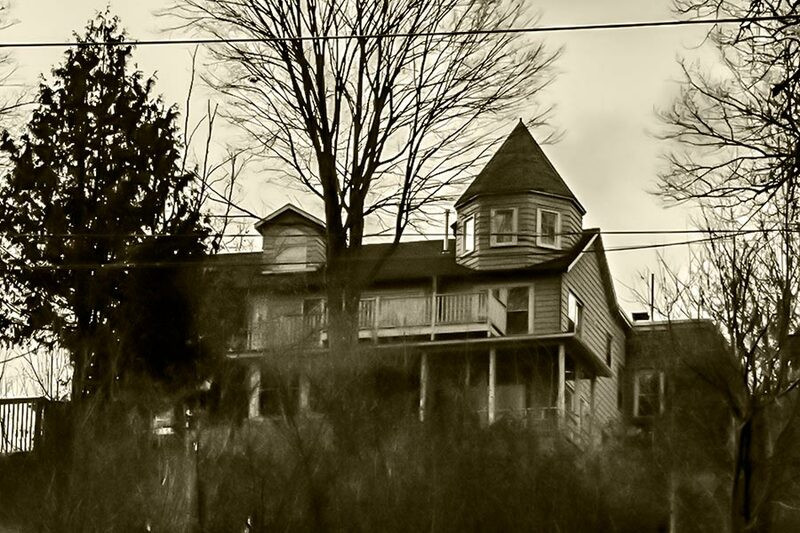 Many people consider it to be the most haunted place in the Muskoka area. Historic buildings generally tend to have stories of unexplained occurrences. Some are more factually based then others. Jackie Niven who died at the Inn at the Falls is an example of that. We’re not saying that the events reported have not taken place. Without bearing witness ourselves, it’s impossible, even foolhardy, to pass judgement and declare otherwise. 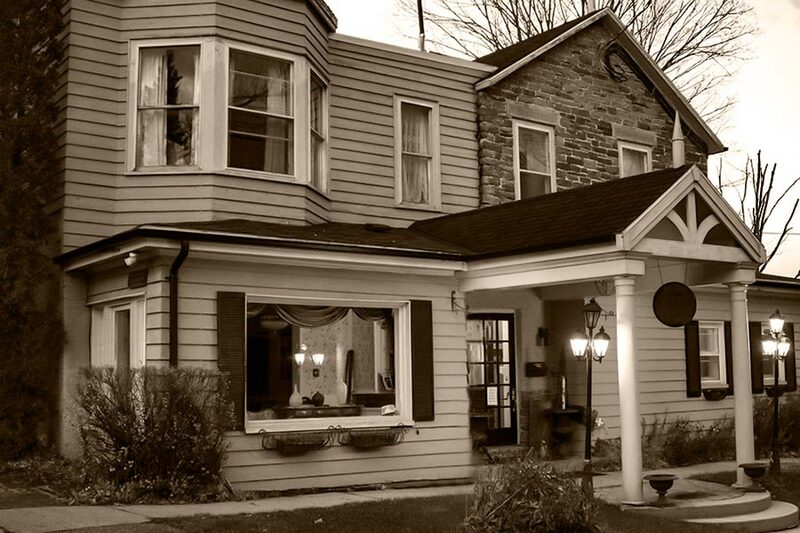 However, places like the Inn at the Falls have such a well known history that it is likely people expect, and even want to experience something unexplained. Add to that the power of suggestion and a strong imagination, and you have a situation that makes it difficult to understand what is taking place. Paranormal researchers working to make sense of the happenings are right to be working to establish definitive proof of what’s taking place.